I was nominated for the Sunshine Blogger Award by Cat. Thank the blogger who nominated you in a blog post and links back to their blog. If you had to describe yourself in 3 words, which ones would they be? What is the most beautiful place you’ve ever been to? The most beautiful place I’ve been to is the Outer Hebrides. So beautiful and close to nature. I want to go back some day. In fact, is love to spend a year there. That would have to be Jurassic Park. When I couldn’t sleep, when I was sick, when it was Thursday. My VHS was watched so much that I broke the plastic panel off the tape part! It also marked my first ever celeb crush. I don’t think I put a name to how I felt about Joe Mazzello’s Tim Murphy, but it was definitely a crush. If you could have any book or future release in front of you right now, which one would it be? I would give anything to be able to read Holly Bourne’s The Places I’ve Cried in Public. I can’t explain how important Bourne’s books are to me. After uni, back in 2007 I didn’t think i’d pick up a book again. My reading habits were sporadic until Bourne’s Am I Normal Now? With that one book I was hooked again and I started sharing books with the students I taught and it all ballooned from there. I don’t think I’ve been as excited about the release of book since the last Harry Potter was released. I obviously remember reading the Biff, Chip & Kipper books but the first story I remember reading was Flat Stanley by Jeff Brown. If you had to switch places with a book villain, which one would it be? This is so hard. Gretchen Lowell in the Heartsick Series by Chelsea Cain. When did you realize you loved reading? I never realised… I think its something that’s in my blood. I hadn’t realised how young I was when I realised I loved writing though until I found a Mother’s Day card I’d written when I was about 7 years old. 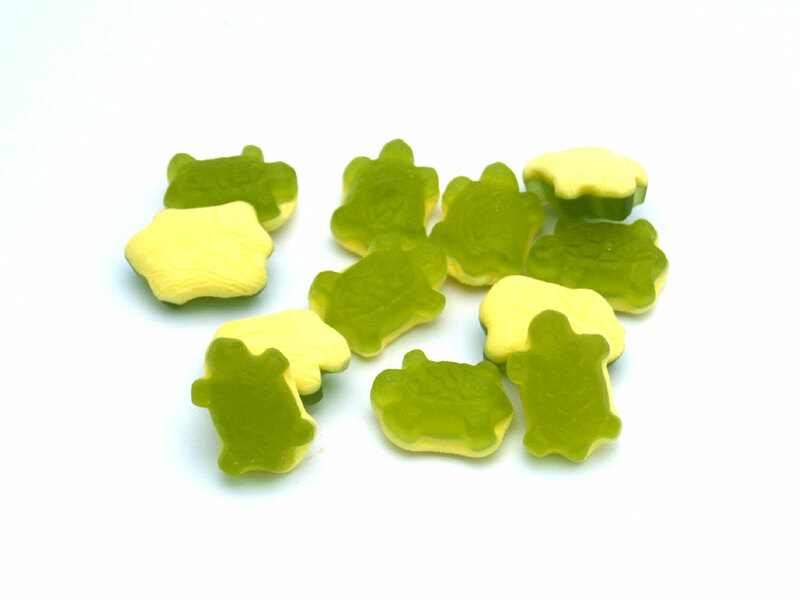 The penny sweets turtles. Man, I love them so much. There was a while when I couldn’t find them anywhere, but thankfully with the internet it’s pretty easy to pick some up when I fancy them. If you had to permanently move to another country, which one would it be? It would have to be Slovenia. It’s a completely blissful place, it has ice hockey and everyone seems stress free. Copenhagen would come a close second for similar reasons. I miss having a someone in my life. I miss going on dates and that fluttery happy feeling you have. I miss movie nights, and pub nights and just generally being someone’s someone. However, I don’t miss the lies or being someone a bloke ‘settles’ for until someone better comes along. I don’t miss the games or the stress of mistrust. Which 4 famous people would you invite to a dinner? You can bring to life one character from a book to be your friend, who are you asking for? If you were to go on a cooking show like Come Dine With Me, what would you make as your three-course meal? What book seems to permanently be in your TBR? What one bookish or film character would you love to see turned into a Pop figure? Which books/ characters would you love to see in a crossover? Which unpopular couple do you ship? Do you have any music to read to? Are you happy to lend out your books? Money no object, what book would you want to own as a first edition?